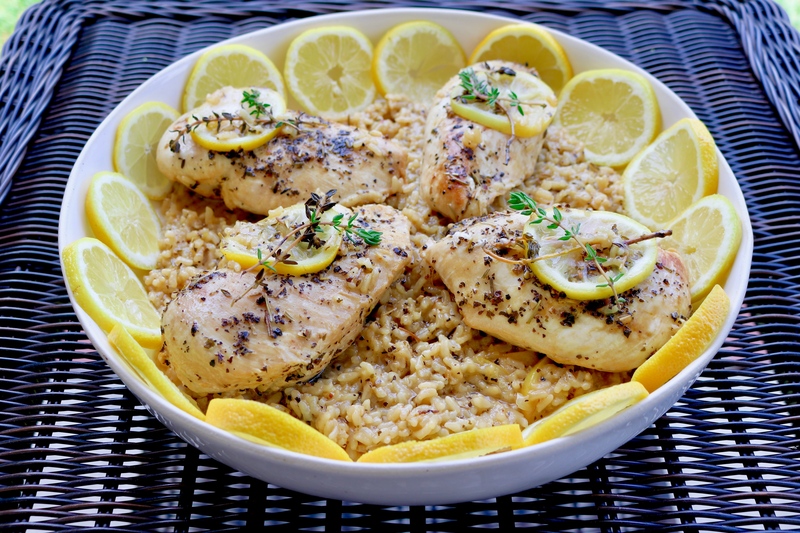 Lemon Chicken is a perfect dish for an easy weeknight dinner! With a hint of Italian seasoning and fluffy tangy rice...this one-pot recipe is outrageously delicious! 1. 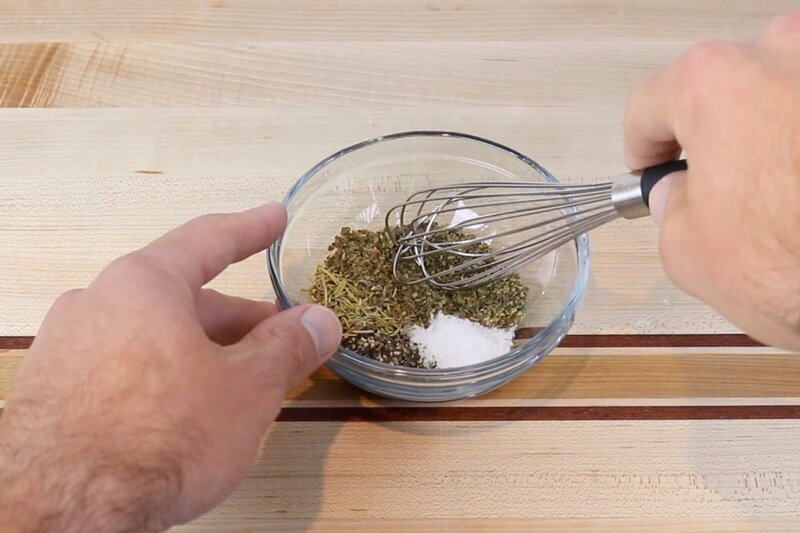 In a small bowl mix together salt, pepper, oregano, and rosemary to make the seasoning. 2. Dry chicken breasts and rub half of the seasoning over the chicken breasts. 3. 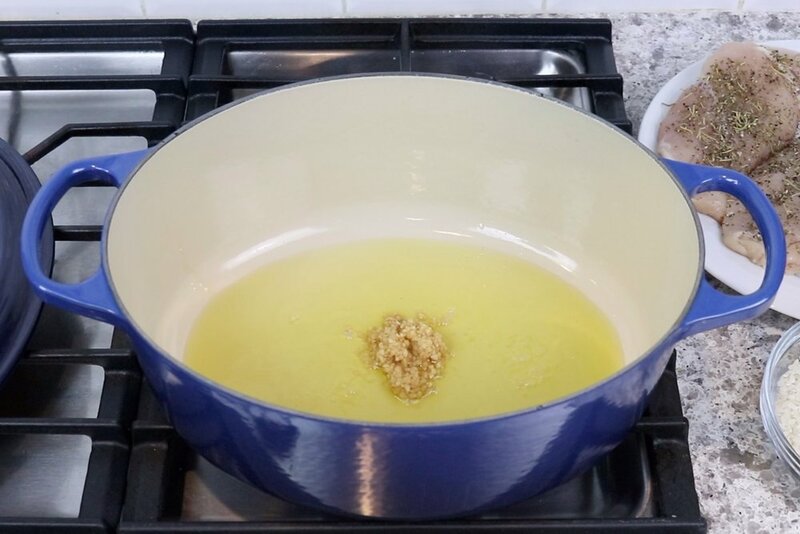 Heat olive oil in a Dutch oven or a large deep skillet (with a lid) over medium heat. Add the garlic and sauté until fragrant. 4. Brown chicken in the oil for 1-2 minutes on each side. 6. 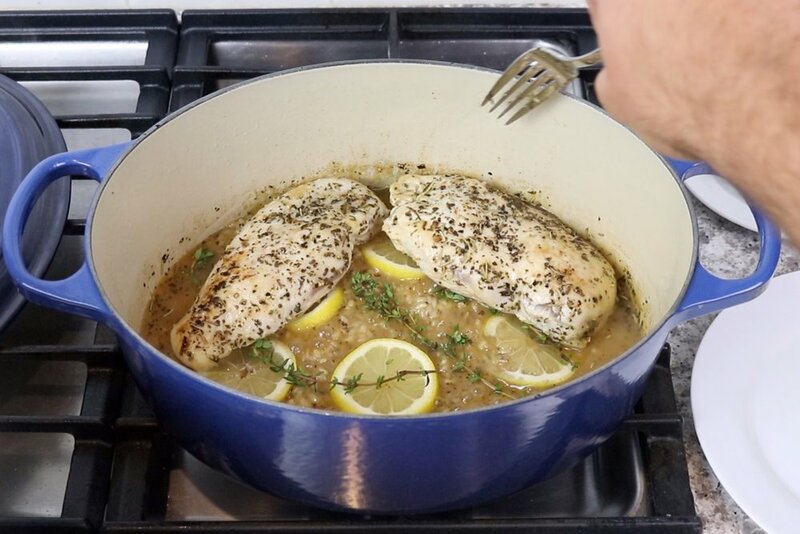 Deglaze the pot or pan with white wine, scraping the bottom with a wooden spoon or spatula. Cook until almost all the wine is soaked up –about 2 minutes. 7. Add chicken broth, rice and remaining seasoning to the pot or pan. Bring to a boil over medium-high heat. 9. Uncover...stir rice and place chicken, lemon slices and fresh thyme on top of the rice. Cover and simmer another 10-15 minutes until liquid is dissolved. 8. Cover and simmer over medium-low heat for 10 minutes. 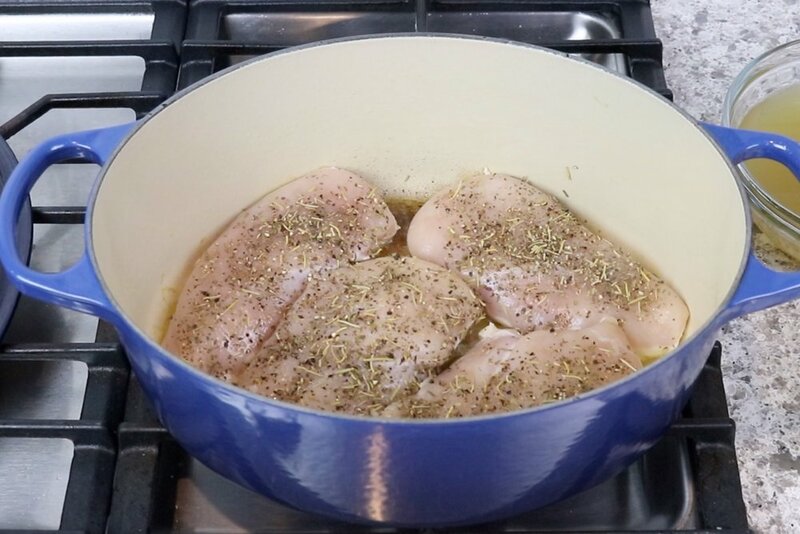 In a small bowl mix together salt, pepper, oregano, and rosemary to make the seasoning. Dry chicken breasts and rub half of the seasoning over the chicken breasts. Heat olive oil in a Dutch oven or a large deep skillet (with a lid) over medium heat. Add the garlic and sauté until fragrant. Deglaze the pot or pan with white wine, scraping the bottom with a wooden spoon or spatula. Cook until almost all the wine is soaked up –about 2 minutes. Add chicken broth, rice and remaining seasoning to the pot or pan. Bring to a boil over medium-high heat. Cover and simmer over medium-low heat for 10 minutes. Uncover...stir rice and place chicken, lemon slices and fresh thyme on top of the rice. Cover and simmer another 10-15 minutes until liquid is dissolved.